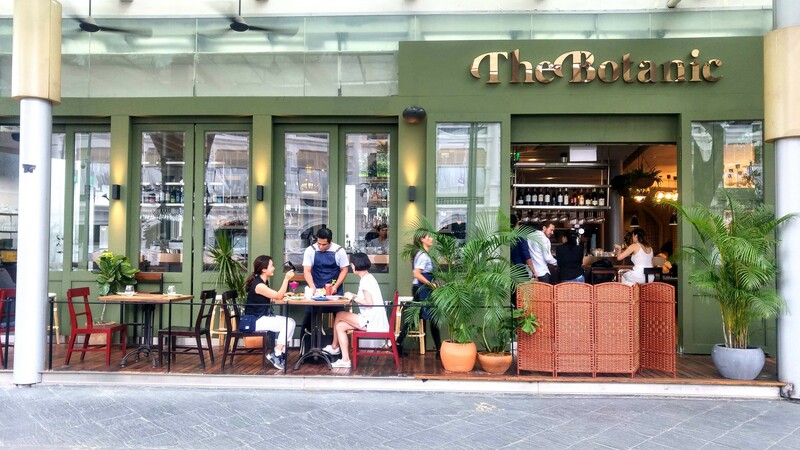 The Botanic at Raffles City Shopping Centre is an reincarnation of Salt tapas & bar, with a new focus on plant-based dining and eco-conscious wines. Helming this new concept is Group Executive Chef Shannon Binnie, whose Australian culinary culture and travel experiences in Asia form the main forces behind the nature-inspired menu. Alongside free-range, organic meat and seafood offerings, there is an equivalent number of plant-based dishes with vegan, vegetarian and gluten-free plates. 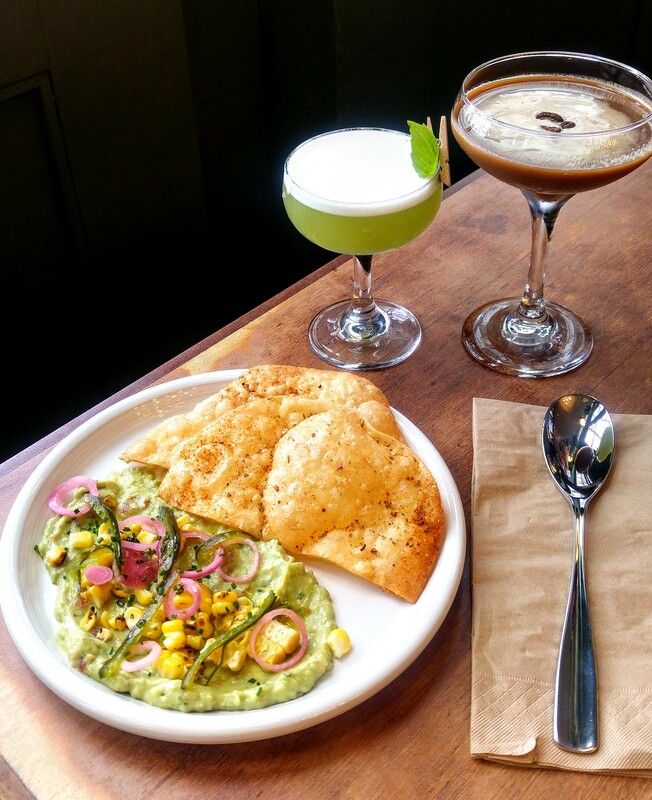 Our pre-meal drinks were The Botanic ($18) and Caffeine Fix ($22). Their signature The Botanic is concocted with house infused gin combined with lemongrass, fresh basil and lime juice. Shaken with egg white to give it its foamy body, instead of refreshing the palate, it was too raw for our liking. The latter was also rather average. Guacamole ($14) being our first starter was quite disappointing to see the creamy guacamole being spread thinly on the plate, as if to make up for the small portion. 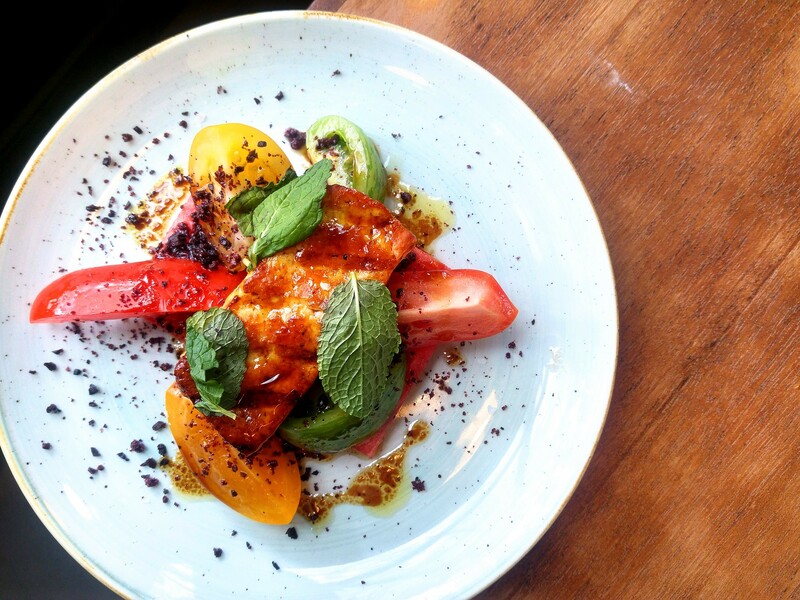 Things started to pick up with our second appertiser, Grilled Haloumi ($22). 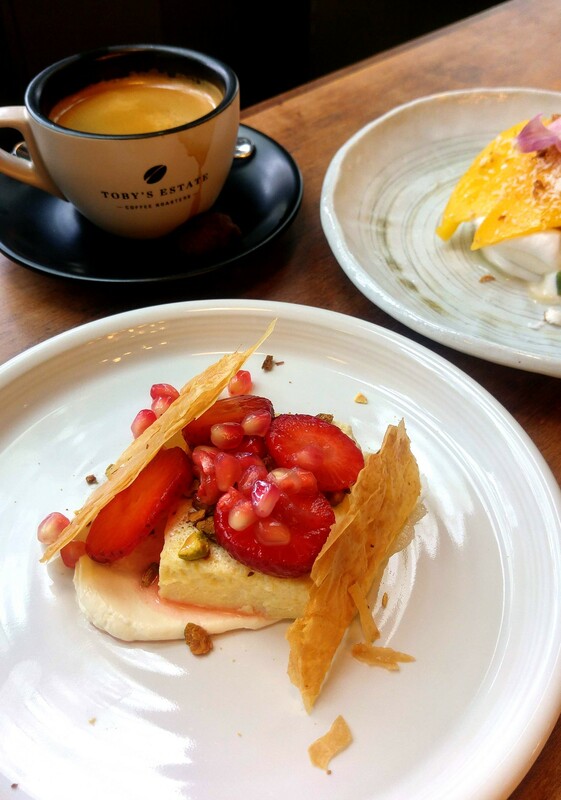 Dust with sumac powder, the combination of its salty sweet taste and the tomato reminded me of the addictive Taiwanese cherry tomatoes stuffed with preserved plum in between. 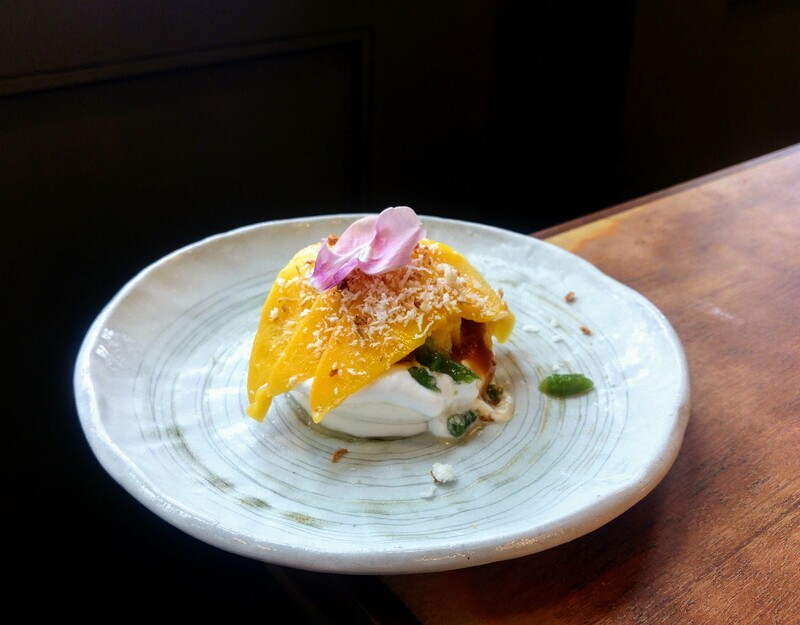 Unusual but the sweet and juicy watermelon worked harmoniously with the savoury haloumi. Unforgettable was the Smoked Sambal Short Rib ($39) with flavours inspired by Chef Binnie’s travels to Indonesia but cooked with the classic American smokehouse techniques. What resulted was a smokey sweet meat that fell apart easily with a slight tug. 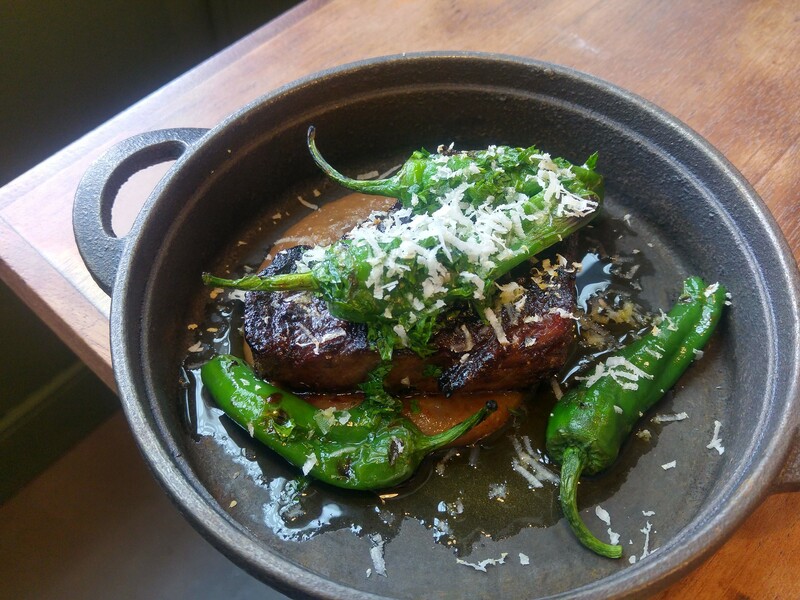 The caramelised shallots elevated its smokey sweetness, which was balanced by the sharp horseradish and roasted padron peppers. 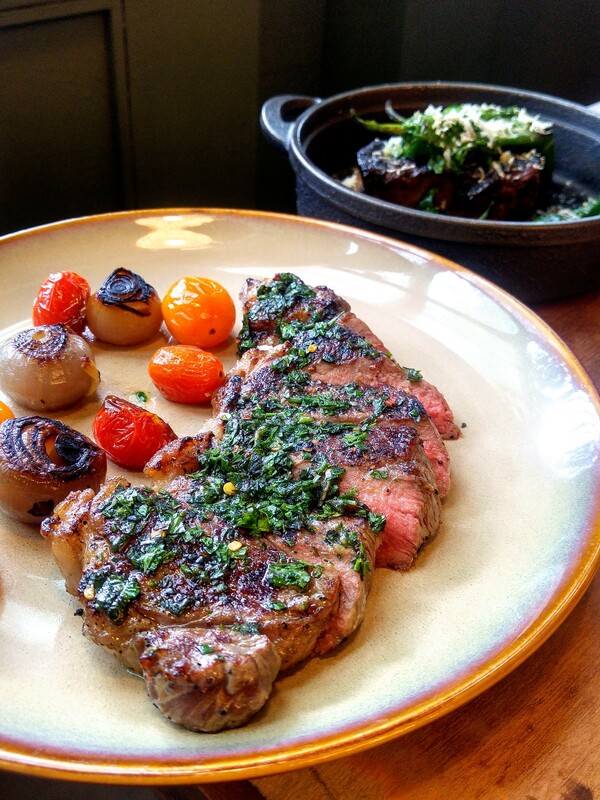 I like the clean look of Grilled Cape Grim Pasture-fed Sirloin ($42). Meant to be gluten free, hence only roasted onion and slow cooked tomato are served as sides. The meat itself was flavorful but more of the chimichurri would make it even more enjoyable. Our desserts are quite different in terms of their origins but both were equally delightful. The Mediterranean Baklava ($14) stood out with the very distinctive fragrance and flavour of leatherwood honey, bringing me back to Tasmania instantly. The Chendol Pavlova ($12) impressed me with its vegan version of an eggless meringue made from chickpeas with coconut cream, albeit a little too sweet. But the rest of the components were well put together to represent that authentic chendol flavour- the jackfruit granita, harum manis mango and salted gula melaka just shout chendol in every way. Such focus on plant-based dining is not new but The Botanic's way of presentation is different. The dishes are not grouped under starters and mains but into four main category - Vegan, vegetarian, fish and meats. 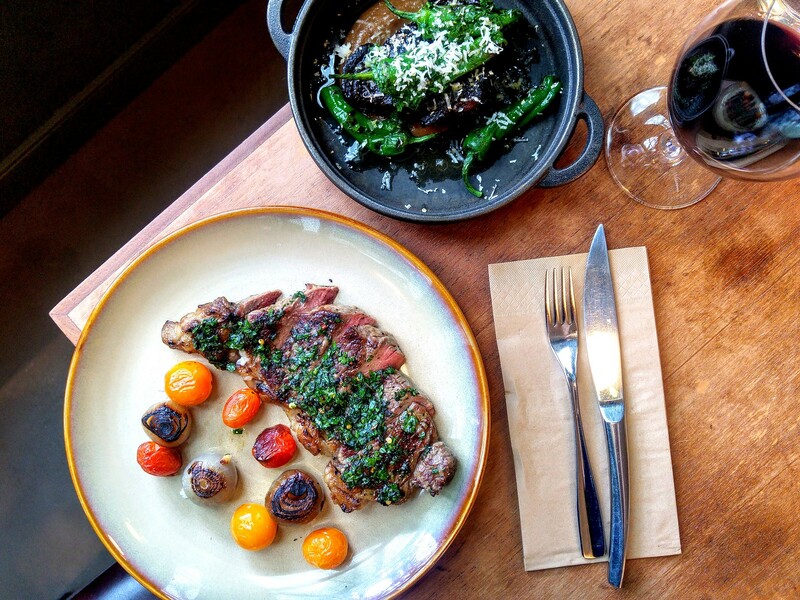 A huge deviation from Salt tapas & bar but hopefully you will enjoy it just as much.